Interesting selection to spend some time swimming in Gilford. Is it not your first time here? Tell us how it went making use of the Facebook comments below or contacting us directly! 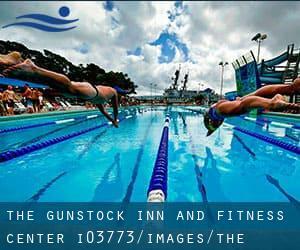 The Gunstock Inn and Fitness Center is only one of all the swimming pools Swimia is offering you, and its details has been shared with us by a swimmer like you.Recall it is possible to now promote The Gunstock Inn and Fitness Center by sharing this page with your buddies, adding comments and linking to us. This sports center offers 25 yards, 4 lanes, Salt Water, Non-Chlorine Sanitized, Indoors. For this Swimming Pool, only phone number is number here. If you believe that any on the data is incorrect, please contact us. Help us be better day-by-day. 827 N. Main St. , Laconia , NH , USA (Postal Code: 03246). Among all the activities supplied by the center, should you be interested in swimming you are going to delight in 25 yards, 6 lanes, Indoors. If you'll want to contact this Swimming Pool, email address and phone number are both number. The data of this Swimming Pool has been verified lately by a member of their staff.